Principal and Director with over 23 year’s sales and auction experience. Rob has been recognised as one of the top auctioneers in the country being a finalist in 2015, 2016, 2017 & 2018 for the category of “Auctioneer of the Year” by Real Estate Business Awards. This is a tribute to the commitment and passion he has for being an Auctioneer. An industry leader he began his career as a salesperson for one of Australia’s leading real estate franchises, where he coached his team to serial record breaking sales months and established a reputation for outstanding leadership. His agent expertise led to buyer advocacy and auctioneering. He discovered in addition to possessing a particular flair for calling an auction, he absolutely loved it – and Auction Services was born. Rob possesses everything you could possibly want in an auctioneer and more. His powerful presence, clear communication and utmost professionalism combine perfectly with his incredible sales knowledge and customer service skills to create an unrivalled auction experience. What sets Rob apart from other auctioneers is his ability to extract the absolute maximum from buyers. 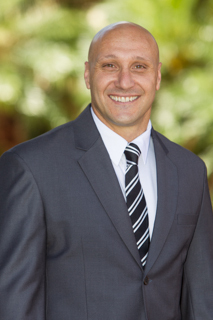 He excels at assisting vendors and agents achieving outstanding sales results time and again. He’s renowned for securing a sale when all hope was lost. Most importantly, Rob is hands on – he’ll go that extra mile to produce the right outcome. Rob also contributes to the Sydney Children’s Hospital Foundation by being part of the Pedal 4 Kids charity bike ride for 2014. In 2013 Rob was 1 of the 100 cyclists that helped raise over $100,000 to make a difference in the lives of seriously ill and injured children treated at Sydney Children’s Hospital, Randwick. Donation to the Foundation can be made by clicking here.